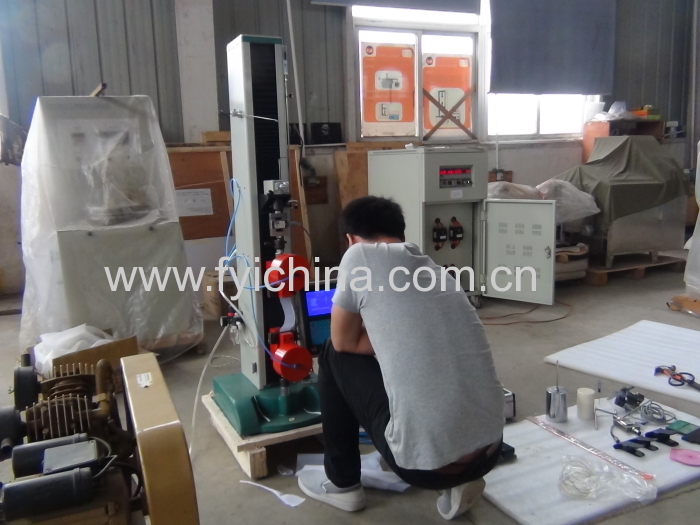 YG026T Electronic Tensile Testing Machine has overcome the inertia and parallaxes error in testing result. It works in constant rate of elongation principle to determine the breaking strength and elongation of yarns, fabrics etc. by GB, ISO Methods, and provides up to 5000N force. Note: this Electronic Textile Strength Teste can conform to but not limit to the standards above, for more standards conformance, please contact us. 9, Optional computer interface port, connect to PC to control test process, data save and printing. Good service and quantity . A. We supply one year warranty and 12 hours service per day . 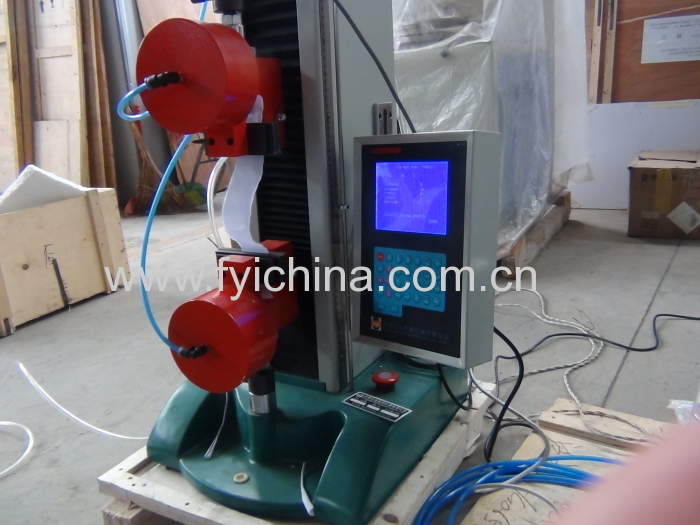 C. Our 500n yarn tensile strength Tester adopts top quality material including imported parts, most of the critical component are adopting first class brand . 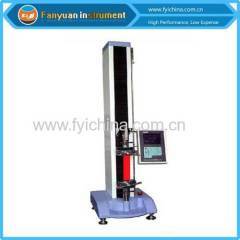 user manual of Electronic Tensile Testing Machine can help you operate our machine easily. G ; we supply operation video if customer need it . .
B. Normally we can delivery time in 3-4 weeks it depend on we have stock or not . Q: Are your company a trading one or a factory? Q What's about delivery time ? A: Generally about 2-3 Weeks , If we have stock , we can arrange shipment within 3 days after re-tester in our factory , Some machine need customized. Deliver time is longer . Q: What about the warranty with after - sales services? of course .we can help you to repair your problem controller freely ,even it's not from our factory. After the warranty, the professional after-sale service team will provide perfect technical support and help customer solve problems encountered while using our product, handles guest problems and complaints in a professional and timely. Q:What about services and quality? A:Each 500n yarn tensile strength Tester must be carried out 100% quality examination and test when shipping and delivery goods. Each of our product provide video training to show you how to install & operate. 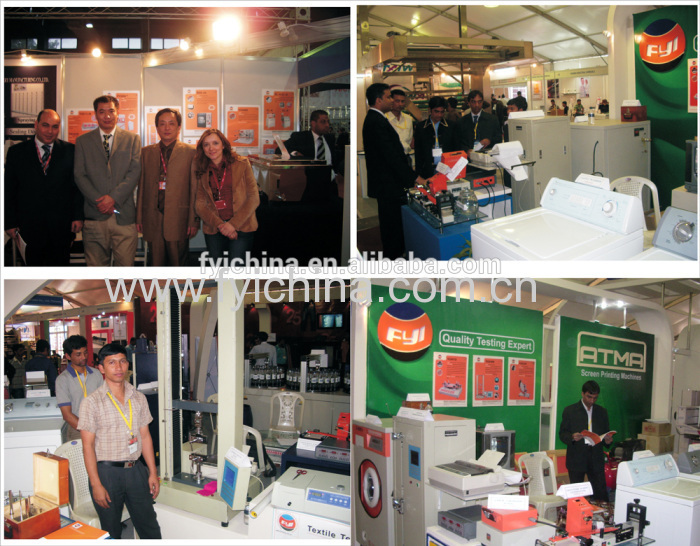 We can arrange engineer to train the operation of equipment to customer's company when you need. our products are widely recognized and trusted by users.